David Bromberg - photo courtesy of The Newton Theatre. Newton, NJ – The David Bromberg Quintet returns to The Newton Theatre on Sunday, October 11th at 8:00 pm. 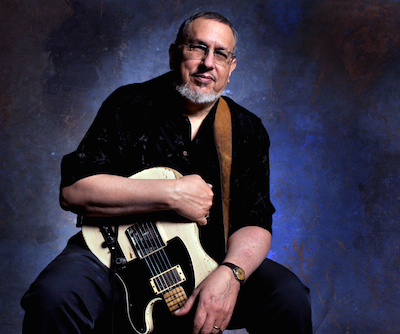 David Bromberg can lead a raucous big band or hold an audience silent with a solo acoustic. With his penchant for relating humorous and thoughtful stories in his songs, an eclectic catalog of music, and a group of outstanding musicians, Bromberg’s live performances are always fresh and exciting! In his early career, Bromberg was a first-call, “hired gun” guitarist for recording sessions, ultimately playing on hundreds of records by artists including Bob Dylan, The Eagles, Ringo Starr, Willie Nelson, and Carly Simon. An unexpected and wildly successful solo spot at the 1970 Isle of Wight Festival in Great Britain led to a solo deal with Columbia Records, for whom David recorded four albums. His eponymous 1971 debut included the mock-anguished Suffer to Sing the Blues, a Bromberg original that became an FM radio staple, and The Holdup, a songwriting collaboration with George Harrison, who played slide guitar on the track. David also wound up with four of the Grateful Dead members, including Jerry Garcia, playing on his next two albums. Bromberg’s range of material, based in the folk and blues idioms, continually expanded with each new album to encompass bluegrass, ragtime, country and ethnic music, and his touring band grew expeditiously. By the mid-’70s, the David Bromberg Big Band included horn-players, a violinist, and several multi-instrumentalists, including David himself. Despite sold-out concerts and a string of acclaimed albums, Bromberg found himself exhausted by the logistics of the music business. “I decided to change the direction of my life,” he explains. So David dissolved his band in 1980, and he and his artist/musician wife, Nancy Josephson, moved from Northern California to Chicago, where David attended the Kenneth Warren School of Violin Making. He still toured periodically, but the recordings eventually stopped. In 2002 David and Nancy were lured to Wilmington, Delaware, where they became part of the city’s artist-in-residence program and where David established David Bromberg Fine Violins, a retail store and repair shop for high quality instruments. Frequent participation in the city’s weekly jam sessions helped rekindle Bromberg’s desire to make music again, as did the encouragement of fellow musicians like Chris Hillman (The Byrds, Desert Rose Band, Flying Burrito Brothers) and bluegrass wizard Herb Pedersen. David continues his musical revitalization, playing solo, with the David Bromberg Quintet, and reunions of the David Bromberg Big Band. In 2007 he released a Grammy-nominated solo album, Try Me One More Time and returned to the studio with his band in 2013 to record Only Slightly Mad. David Bromberg is an astonishing performer whose range and musical depth have delighted devoted audiences for over forty years and continues to do so. 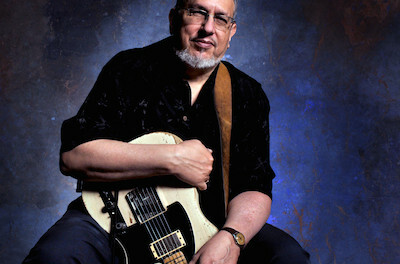 Tickets for David Bromberg range from $32.00 to $57.00. Purchase tickets by visiting www.thenewtontheatre.com or contact the Box Office at 973-383-3700.